Arthritis is a combination of more than 100 different kinds of diseases and conditions, and the word arthritis means “ Joint inflammation”. 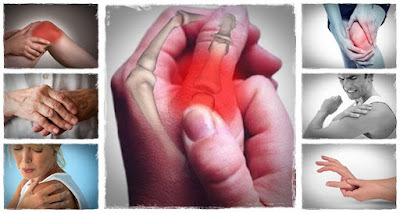 The pain and inflammation due to arthritis decreases the movement of joints that are affected. It limits all the everyday activities such as running, walking, bathing and dressing etc. Shoulder fingers, and knee are the main parts of the body that can be affected by arthritis. Pain in the joint that lasting up to or more than 1 hour. Osteoarthritis is another type of common arthritis which affects the cartilage. Cartilage is the part of bone which covers the bone ends and helping joints to rotate without colliding each other. If osteoarthritis affects the joints, the cartilage become weaker and the after effect will be the collision of joints each other. Then swelling and pain arise and it limits the overall performance of the whole body movement. It mainly affects the main body parts like fingers, shoulder, hip and knee. Knee and Shoulder India, the orthopedic clinic located in Chennai offers affordable arthritis treatment in Chennai. We are specialized in orthopedic mainly focusing in knee and shoulder surgeries and also focusing in complex surgeries.